Standards are used in RFID systems to define how information such as product codes is held on tags, how data is stored and how tag readers and tags should communicate. 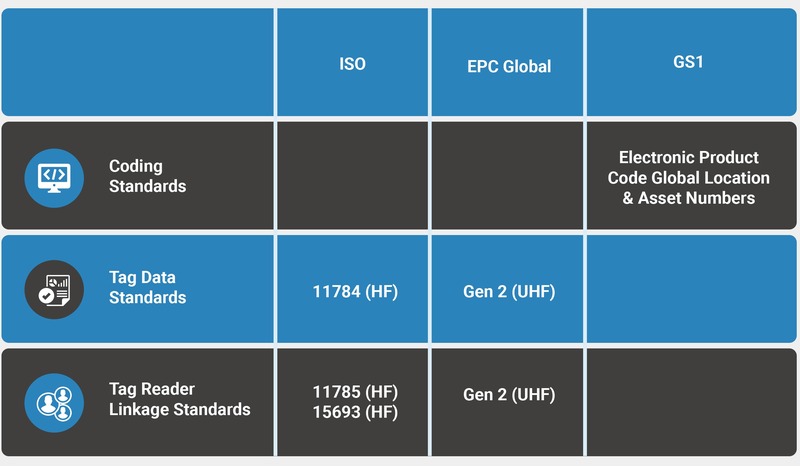 Different standards apply to the different frequencies used for tags, High Frequency (HF) Low Frequency (LF) and Ultra High Frequency (UHF). Standards are set by international bodies like the International Standards Organisation (ISO) and by industry bodies such as GS1 and EPC Global. For more information on RFID standards please contact us.